What does a celebrity who already has everything do? Buy a winery, of course. We rounded up celebrity winemakers, some whom have invested in their own vineyard and others who have teamed up with an already established winery to create their own unique collection. From AC/DC’s “Back in Black Shiraz” to Francis Ford Coppola’s Sophia rosé (named after his daughter), these are the best celebrity wines and winemakers. Brad Pitt and Angelia Jolie are the epitome of a power couple. Among their charity projects and awards, Angie and Brad own a $US60 million estate and winery in Provence. Their winery is located at Château Miraval, a 1,200-acre estate in the village of Correns, France. Built in 1841, the French Country manor has 35 rooms and 926 acres of fountains, gardens, and woodlands. It even has a moat. The couple just released their second award-winning wine this year, a rosé called the Chateau Miraval. The wine, which was was one of Wine Spectator's top 100 wines last year, was released on February 7th and sold out within five hours. The Château was also the location of their secret wedding. Sting and his wife Trudie Styler have their own vineyard just 45 minutes south of Florence where they make organic and 'biodynamic' wines. The 900-acre estate, known as Il Palagio, also has a 16th-century villa with swimming pool, 12 acres of vegetable gardens, around 80 bee colonies, olive groves, and several small lakes. In addition to wine, Il Palagio also produces honey and organic olive oil. 'The Godfather' director is a true oenophile and has produced over 40 wines from his resort in the heart of Alexander Valley, California. The winery is named the Rubicon Estate Winery and is located in one of Napa Valley's prime spots. The estate has a wine tasting bar, two restaurants, swimming pools, a movie gallery, a performing arts pavilion, and a park area with game tables and bocce courts. The winery also produces a rosé called Sophia in honour of his daughter Sophia Coppola. MacLaclan partnered with the winemaker Eric Dunham to created Pursued by Bear in Walla Walla County, Washington 10 years ago. The name Pursued by Bear comes from an obscure Shakespearean stage direction in The Winter's Tale. The pair makes Cabernet Sauvignon, and their very first '05 vintage received high praise from Wine Spectator with a 91 rating. Established in 2000 by Dave Matthews, Blenheim Vineyards is a family-owned and operated winery located about 20 minutes outside of Charlottesville, Virginia. Matthews has spent a good amount of money restoring the 1,260 acres of farmland to make sure it meets organic growing standards. The vineyard has four acres of grapes and produces Viognier, Chardonnay, Cabernet Franc, Cabernet Sauvignon, and Petit Verdot. In 2011, he partnered with winemaker Steve Reeder to produce Sonoma's Dreaming Tree Wines, which has the same sustainable approach as Blenheim. The company is named after a song on the Dave Matthew's Band album, 'Before These Crowded Streets,' and they made a red wine called 'Crush,' which is also named after a DMB song. David and Victoria Beckham became wine enthusiasts while living in Spain when Beckham played for Real Madrid. When they relocated to Los Angeles, David Beckham reportedly bought Victoria her own Napa Valley winery for her 34th birthday. The couple have no plans to produce Beckham wine commercially and are pursuing wine making as a personal endeavour. They have hired a team of specialists to run the winery and make vintage wines for family and friends. 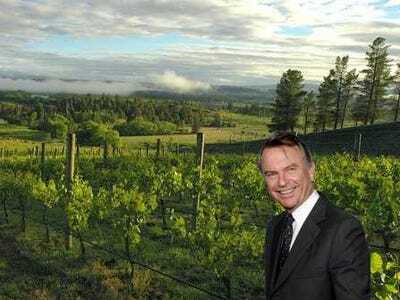 Sam Neill has been making wine since 1993 on his Two Paddocks winery in New Zealand's South Island. 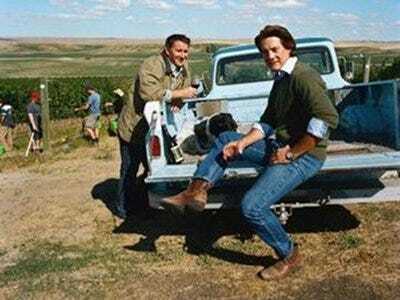 The 'Jurassic Park' star is also Pinot Noir obsessed, and has won many awards for his Two Paddock Pinot Noir wines. His goal is to produce the world's best Pinot Noir. Inspired by her family, Drew Barrymore has created a Pinot Grigio to honour them. She has just launched a new wine called Carmel Road Pinot Grigio. 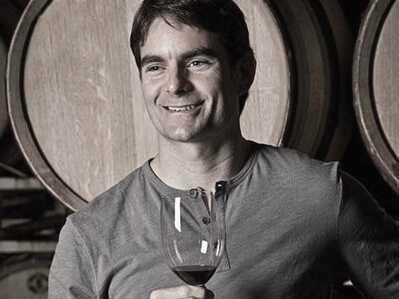 Jeff Gordon, a four-time NASCAR Cup Series Champion, is also a fine wine enthusiast. Gordon has been producing award-winning California boutique wine with winemakers August Briggs and Jesse Inman since 2004. 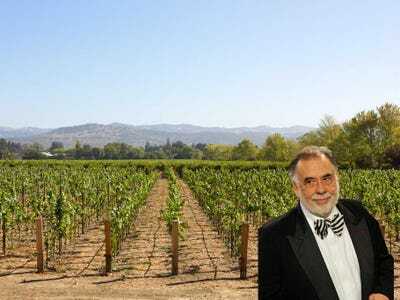 Although Gordon does not have his own winery, he sources wine from Napa and Sonoma, in the heart of Northern California. Gordon's brand produces wines such as Pinot Noir, Rose of Syrah, Chardonnay, Cabernet Sauvignon, and Merlot. 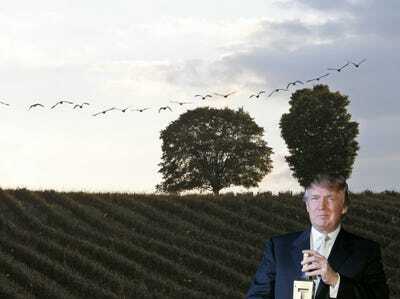 Of course Donald Trump has a winery named after himself. Trump Winery is located on a 1,300-acre estate Charlottesville and is Virginia's largest vineyard. It opened in 2011 and has 50,000 square feet of winemaking facilities, 100,000 gallon tank capacity, and 750 barrel cave producing sparkling, white, and red wines. His son Eric Trump is the head of the winery. The hard rock band apparently also has a taste for fine wine. 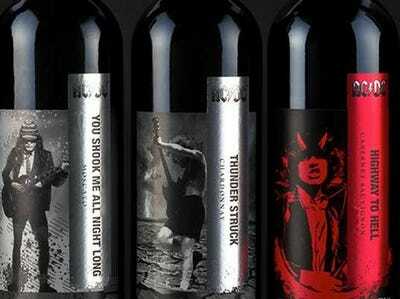 AC/DC paired up with Warburn Estate, one of the largest and best-known wineries in Australia, to make their brand of wine. 'Back in Black Shiraz,' 'Thunderstruck Chardonnay,' 'You Shook Me All Night Long Moscato,' and 'Highway to Hell Cabernet Sauvignon' are just some of the many wines they make. Now check out some celebrity geniuses.